This feature includes advice from type designers at Monotype and Fontsmith for designers wanting to create a typeface for the first time. Although the guide covers tools, software, concepts and pitfalls to look out for, we don’t pretend to cover everything in this complex discipline. Treat it as an informed starting point. While this is primarily a guide on how to design a typeface for those who haven’t done it before – covering the basic steps and things to look out for – there are also handy tips for more experienced type designers. This step-by-step feature covers what tools and software to use, advice on turning concepts into prototypes and what pitfalls to watch out for. You’ll learn from Monotype designer and lettering artist Terrance Weinzierl (who we spoke to for Monotype’s Font Marathon), senior Fontsmith designer Fernando Mello, and graphic designer, type designer and calligrapher Seb Lester. At the end of this feature there is a brief overview of type terminology and where to go for more information. It’s important to know the style you want for your typeface, what different applications it will be used in and who will use it. If creating a typeface beyond personal use, such as a software package, you may be required to use a Glyphs palette. Glyphs are essentially all available characters in a font – from letters to numbers and special characters. Fernando says before designing anything, it’s important to research what’s available in the market to ensure relevance and value that your work will have. Futhermore, he suggests creating a mood board that allows you to sketch by hand first and exercise ideas for the character and features of the font. Terrance says the more specific the use-case the more you can tune the typeface – usually size and media make the most impact. “In our world today, we demand fonts to be more versatile that they were in their first few hundred years of existence. In many cases, fonts need to work for headlines and text, on screen and print. That’s a tall order. But, that’s why we see so many low-contrast sans and slab serif designs - they survive quite well in a variety of demands,” he says. This can be difficult. It’s always a balance of form and function, but high-res screens – on phones, tablets, monitors, TVs and more - have allowed type designers a little more creative detail. 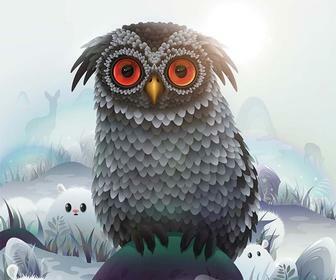 “Many details can disappear when using something like 12px text. I’m always looking for an opportunity to make Display and Text variants, so that the Text version can be relieved of some specific branded detail, and the Display style could be crazier. It’s no secret; high-quality screens on phones, tablets and laptops along with web fonts have completely changed the typographic landscape for screens. We have more opportunities to show typeface details, as well as increased sophistication with hierarchy and readability,” says Terrance. This is where a typeface takes its most basic form – essentially, where you create a prototype. Terrance says it’s about capturing the idea as fast as possible. Many type designers use the traditional toolset of pen (or brush), ink and paper for this step. 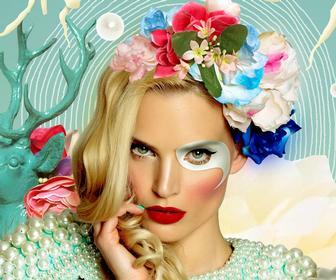 Others prefer to draw digitally using a Wacom tablet, and some like to work directly in font-design software. It’s a matter of exploring different ways – is your typeface mimicking natural handwriting, is it more vector based? For Terrance and Fernando (as seen below) this step takes place by making notes accompanied by rough drawings in a sketchbook. “After this, I might draw a few more tighter drawings on paper, or just straight to a digital prototype. I’d start with some letters with lots of DNA, like the a, g, R, and S along with simple control characters like H, O and I,” says Terrance. He says once you have a small prototype of around 10 or 20 letters in one or two weights, you can make creative changes quickly without building out the whole character set. Common prototype words are: Hamburgefonstiv or Adhesion, or a brand adjective like “friendly”. “The capitals ‘H’ and ‘O’ set standards for round and straight parts of the other capital characters. In the lowercase, ’n’ and ‘o’ will do the same job, and letters with ascenders and descenders such as ‘d’ and ‘p’ will help define vertical proportions of the font. These key characters not only dictate the structure of the shapes of the typeface, but also their spacing – shapes with similar aspects to their sides are spaced in the same manner,” says Fernando. It’s also important to design shapes and space them at the same time, as both things are completely dependant. 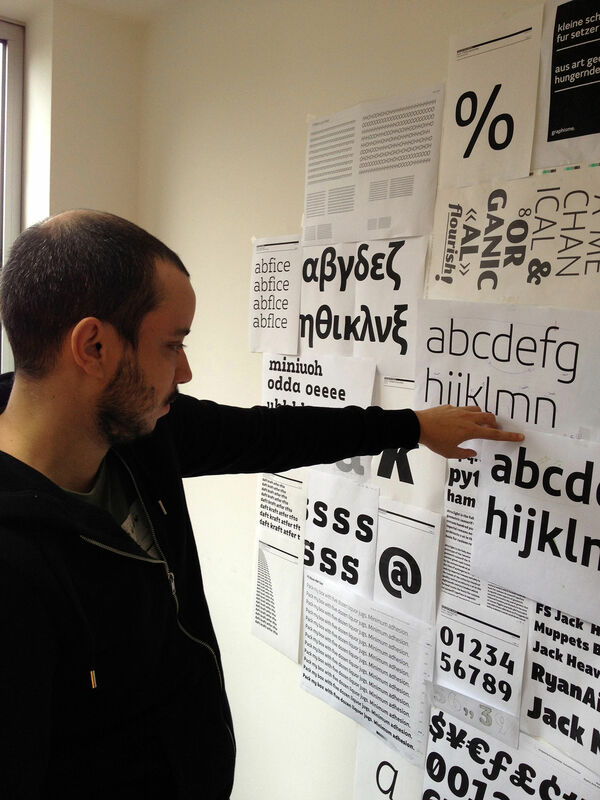 More unique letters, such as the lowercase ‘a’, ‘g’, or ’s’, which tend to offer more room for experimentation, often dictate the ‘spirit’ of the typeface, says Fernando. 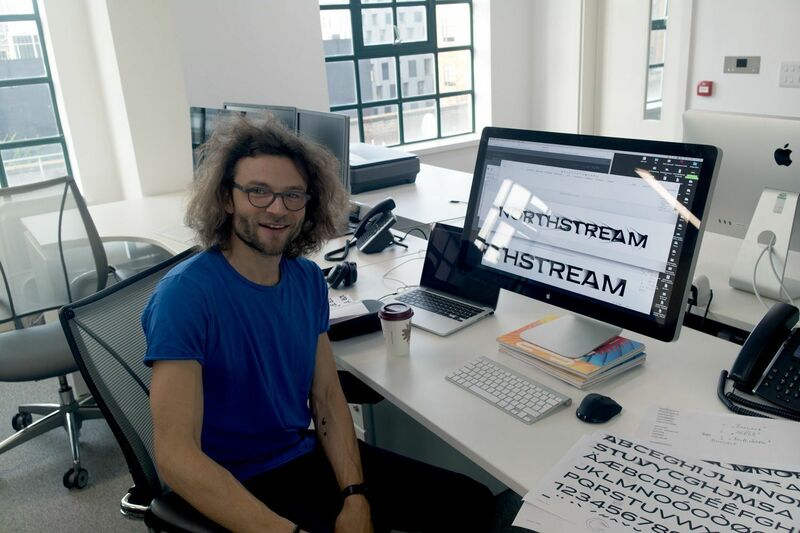 Although ink and paper is used in the early stages, at Fontsmith they jump to creating the font on a computer quite early on in the process, as Fernando says it’s much quicker to get precision and consistency through vector digital drawing than doing this by hand and scanning it in. Be aware of: Building a design before exploring a number of prototypes. “This is the production trap - you change your mind a little bit, and spend more of your time making tiny changes on hundreds (or thousands) of glyphs,” says Terrance. When using a particular tool, the size can change the weight of the typeface very much. 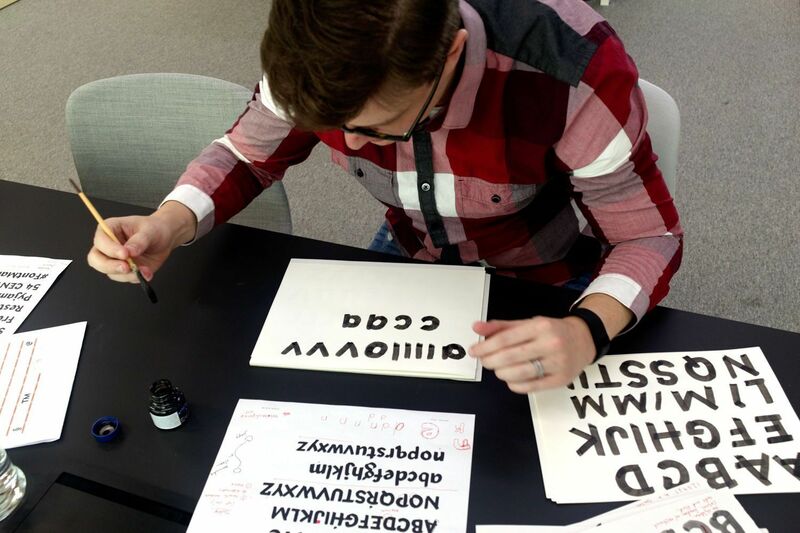 Seb Lester is best known for exquisitely beautiful lettering, but he’s also designed typefaces including Neo Sans. Here he tells us about the tools he uses for drawing letterforms for both. Seb uses broad edge tools for Gothic and Italic styles, and suggests Pilot Parallel Pens for beginners. You can see these tools in his social media clips. For manuscript calligraphy fountain pens are widely available and practical. For finer, crisper notes (maybe after a bit of practise) Seb recommends traditional metal calligraphy nibs made from established manufacturers like Brause, Mitchell and Automatic Pens. For pointed pen calligraphy (graceful curves and strong contrasts in line width) Seb uses Nikko G nibs on traditional or oblique penholders with Iron Gall ink, or equally, Walker’s Copperplate Ink and McCaffery’s Ink. His preference from first to last: Pilot Parallel Pen, Pentel Colour Brush, Kuretake No. 13 Fountain Brush Pen, Manuscript Italic Fountain Pen, Nikko G Nib with oblique pen holder, Automatic Pen, Copic Wide Marker and Ruling Pen. This stage happens when you’re ready to scan your letters into software such as Adobe Photoshop, Illustrator or the Mac-only Glyphs app for font creation. Manipulate the pixel images and auto trace so the glyphs turn into digital fonts. For this step Terrance uses the Glyphs app to create fonts, and FontLab and Illustrator for processing vectors from “time to time”. He uses specialty app Metrics Machine for kerning creation or “surgery”, and Font Explorer X Pro for font management. Once the basic characters like A-Z, a-z and numbers are defined, start extending the character set. Begin to experiment with letters, keeping in mind their anatomy - such as kerning, alignment, measurement, leading and ligatures. 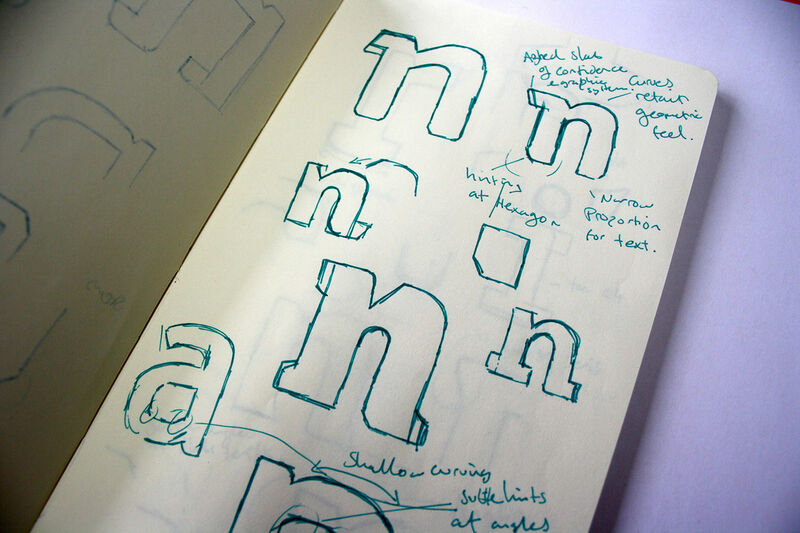 “The ‘editing’ of a typeface usually continues throughout the entire process. 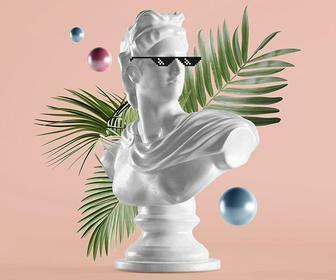 But the first five or 10 percent is the most important design decisions, because it becomes more and more time consuming to edit after you’ve built it out (into so many glyphs, weights, italics),” says Terrance. He advises to distinguish and choose the letters more “successful” than others, and these will be your control characters – the DNA baseline of the typeface that won’t change. 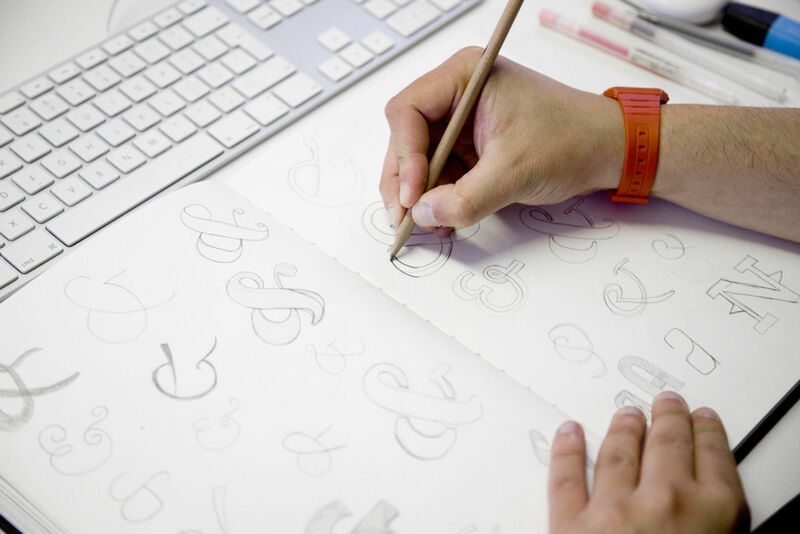 This process is definitely the lengthiest – Terrance and Fernando say designing the typeface or family could take anything from three months to a couple of year. 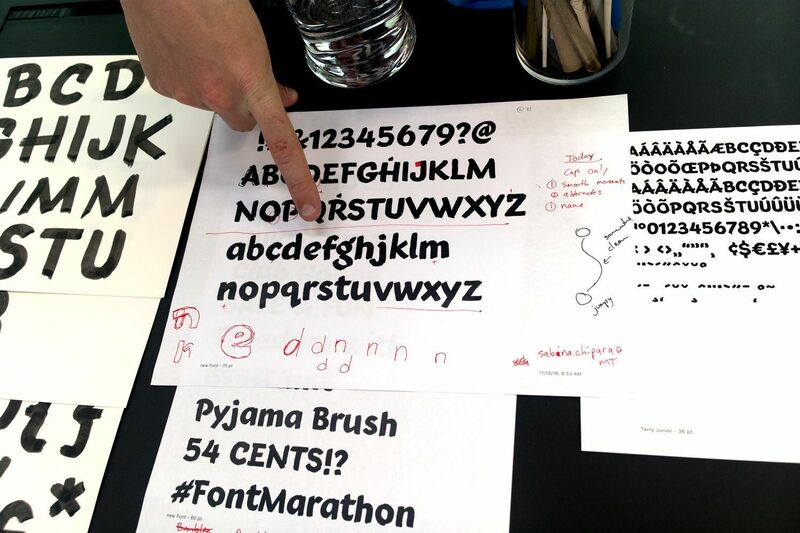 However, we saw Terrance create the typeface Terry Junior, in a couple of weeks for the Font Marathon. So it’s up to you how long you take to perfect a typfeace – but don’t feel defeated if it does take a while. Once a working version of the design is ready, test the typeface within its intended context. This stage can be as equally challenging as getting the design of the shapes right. Expanding the character set, including accent figures and punctuation, might also occur at this stage. “The typeface must be tested in layouts to attest its graphic performance, but also in different medias and outputs, for its technical performance. Nowadays with the diversity of browsers, screens, printers, devices, it can be very tricky to get your typeface working perfectly in all available medias,” says Fernando. Terrance says within the font creation app, you can test the font using real words and text strings, putting every letter next to every letter - even looking at the font on an old Windows computer to get a sense of a “worse case rendering look”. “When I’m demonstrating a typeface to clients, I usually use a mix of headlines, paragraphs, and detailed diagrams explaining the features and performance of the typeface. Beta fonts are a great way for people to try out fonts in print layouts or apps, and get a very real view of how the typeface and font will perform,” says Terrance. Getting fonts from the design stage to market gets technical, and maybe a little boring. “Basically, it depends on the delivery format (OTF vs TTF), hinting methods, testing of OpenType features, and building proper style names. In-app quality assurance testing. Web font formats get created from the OTF or TTF ‘masters’,” says Terrance. Be aware: The name, graphics and price are all part of the product, and its user experience. “A great typeface with a bad name and poor marketing will disappear into obscurity as fast as it came,” says Terrance. It’s worth checking out Fontsmith’s helpful A-Z of typographic terms if you get a little stuck throughout this guide. For more resources, graphic designer Jeremiah Shoaf, aka Typewolf, has recently launched a Typography Checklist – free information for those interested in designing type for the first time. The course covers punctuation and style, body text, legibility and readability, layout and hierarchy, selection and pairing and design and branding. You can buy the full version for US$399 if you really love it. It’s quite important to understand the difference between a typeface and a font – often a misunderstanding that frustrates industry practitioners. A typeface is a family of fonts (eg Helvetica Regular, Helvetica Italic), and a font is one weight or style within a typeface family, such as Helvetica Regular. A typeface is usually designed for anyone, anywhere, such as commercial business or online, where as lettering is usually designed with one specific project in mind. Serif typefaces are traditional, and distinguished by a short line or finishing stroke on the end of character strokes and stems. Sans-serif doesn’t have any serifs. These typefaces became popular in the nineteenth century and are therefore considered modern. Geometric sans serifs are constructed of straight, mono linear lines and circular or square shapes. They make for great headings but not so wonderful for long bodies of text. Grotesque sans serifs are a family of 19th century sans serif typefaces. Their shape and proportions are usually uniform, with low stroke contrast. Round shapes are more oval than circular, and the x-height is usually large. Grotesque sans serifs are great for paragraphs. Script typefaces mimic the look of handwriting.